I made a roasted spatchcocked chicken one night last week for dinner. 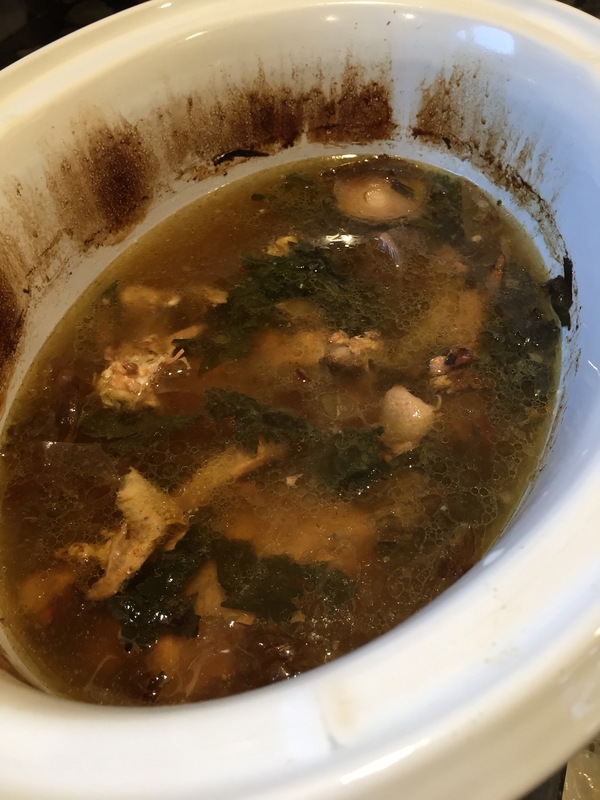 Whenever I make a whole chicken, I always cook down the carcass to make a rich bone broth. Here’s how I do it. Pull off as much meat as you can from the bones. I save a pile for us and a pile of the fattier or tougher pieces for the dog. Set meat aside for another use. Put bones into a large crockpot. Add water to fill about half full (about 8 cups for my crock). Pour in a couple tablespoons of apple cider vinegar. This helps leach the good stuff like the healthy minerals and marrow out of the bones. Add vegetables and herbs as desired. I usually keep a bag of scraps in the freezer for this purpose. My general additions are celery stalks and leaves, onions and clean peels, carrot pieces, a couple cloves of garlic, and whatever herbs I have around. Now turn it to high until it boils then down to low and let it cook. I sometimes leave mine in for up to two days. The longer it cooks, the richer it gets. Then all that’s left it to strain it. I usually use tongs to lift out the largest pieces then pour the rest through a fine strainer. Refrigerate for a few days or freeze if you don’t need right away. 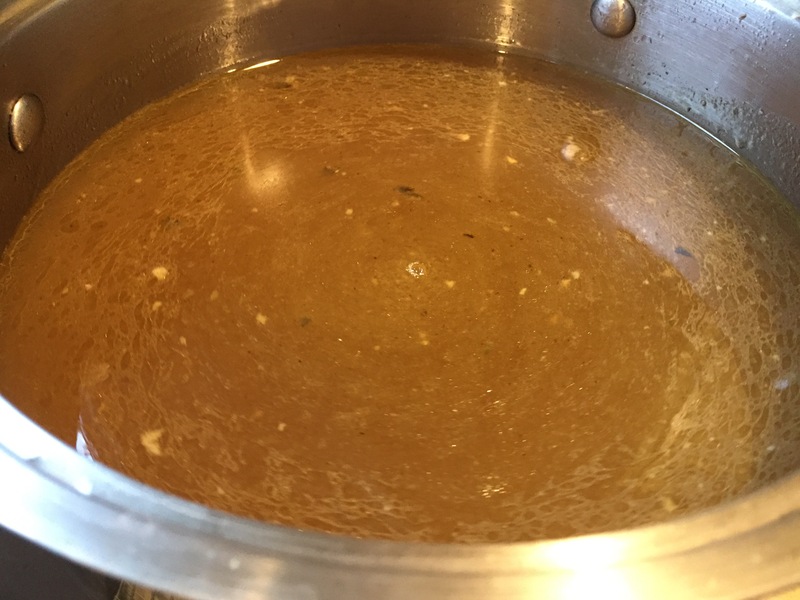 This bone broth is rich in flavor and nutrition. It makes for a wonderful soup base but also serves well in any recipe where you need a bit of liquid. I use it to cook rice or stir some into stir fries. It’s so versatile.